You don’t have to be an expert mountaineer to explore exhilarating alpine environments. 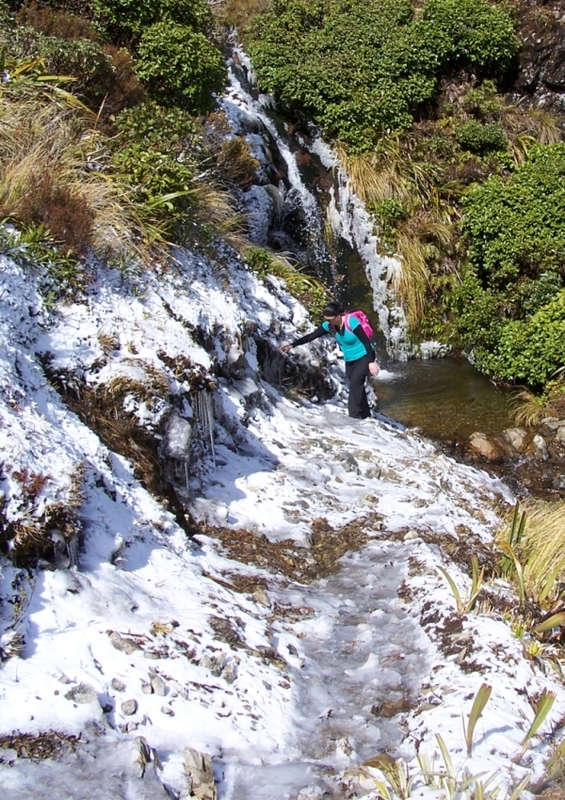 Here in the Manawatu we have a great option for first-time alpine adventurers. From open pasture, through tall forest, to rugged rocky alpine tussockland – you will see many changes as you wander up or down the Rangiwahia Hut Track. The hut is located amongst tussock on the alpine tops, at 1327 metres above sea level. There are stunning views to the central plateau, Mt Taranaki and I know that some people have even seen Kapiti Island on a clear day. Alpine environments can be harsh; rugged, cold, exposed, dry, and conditions can change very quickly. This track is no different and you must be prepared for these conditions, but the stunning views and interesting flora and fauna are certainly worth the preparation. Snow is quite common along the track in the winter months and the Rangiwahia Ski Club (formed in 1938) has developed a ski field in the area. The current hut was built in 1984. A log burner and well-stocked wood shed make it a cosy haven from the volatile alpine environment. 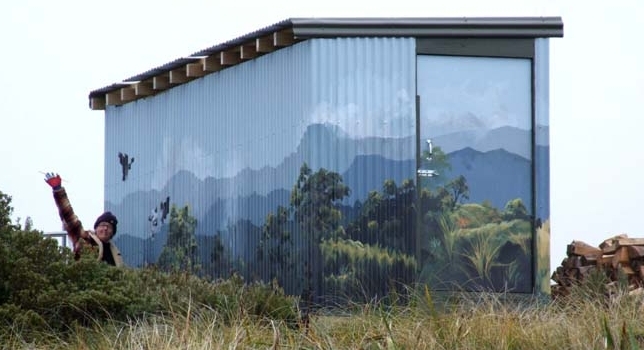 Make sure you take the time to check out the mural painted by artist Julie Oliver on the hut toilets and woodshed. 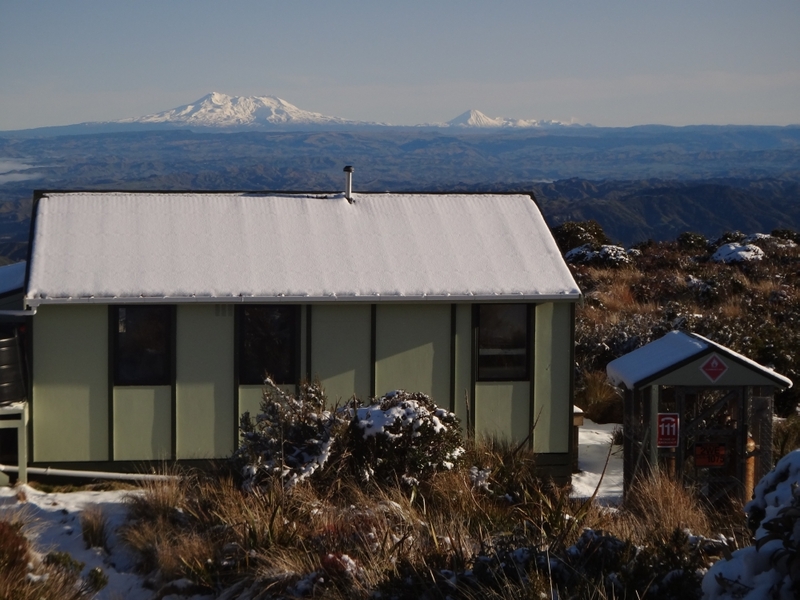 I think the Rangiwahia Hut Track is a great option for those starting to explore some of our unique alpine areas. 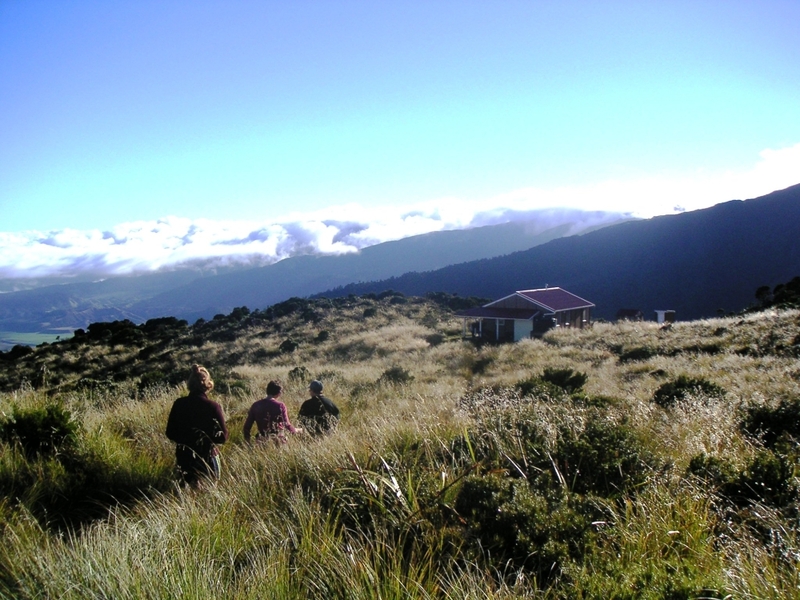 The Rangiwahia Hut Track is on offer as part of the Manawatu Walking Festival coming up in February – March 2014. The festival has walks for all ages and fitness levels, hosted by an array of guides. Visit The Manawatu Walking Festival website to find out more.